I love discovering Canadian brands, especially when they promote natural ingredients. 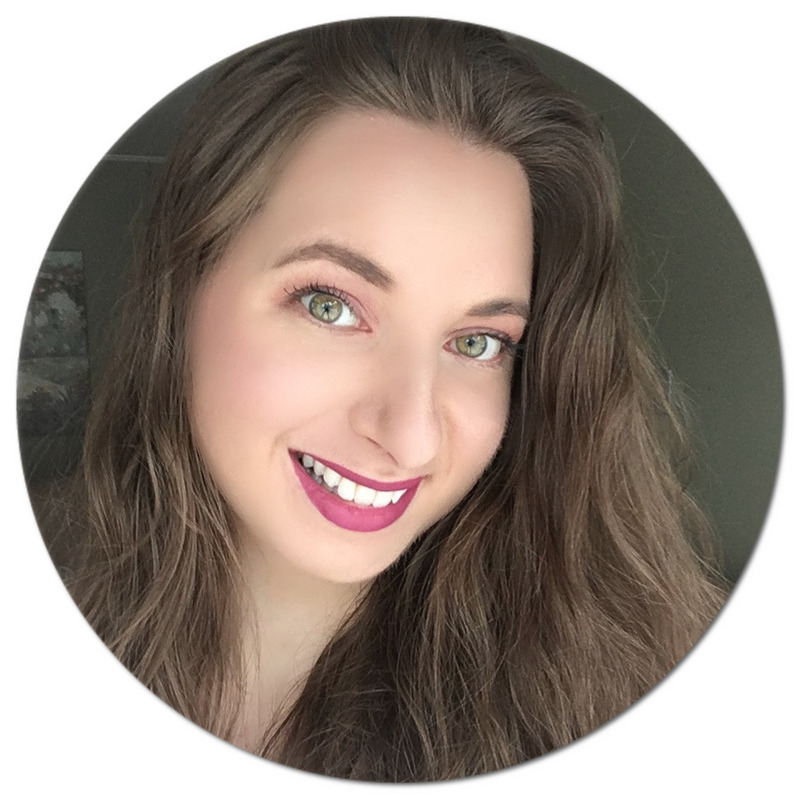 I've been trying to incorporate more plant-based products into my beauty routine since transitioning to a plant-based diet, and so far I have come across some really great finds. 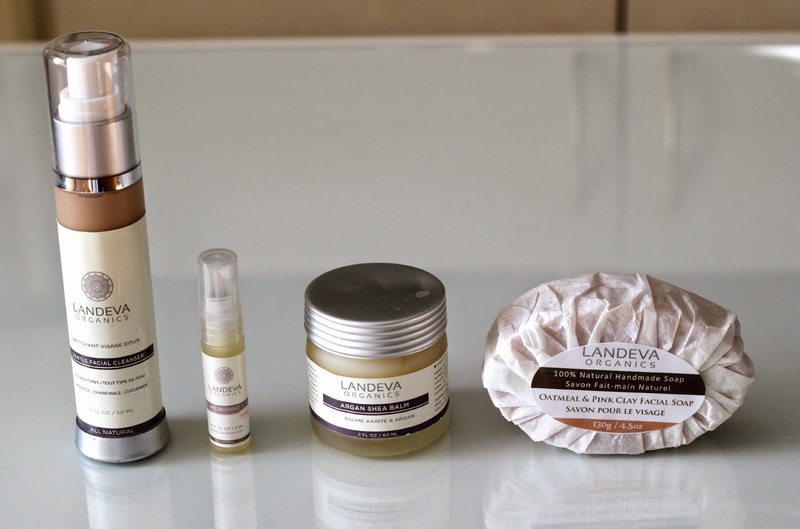 I've been using a few products from Landeva Organics for the last few weeks, and I will be sharing with you how they have been working for me. The brand's name was inspired by the town of Landava, Slovenia, which I think is pretty cool since I am part Slovenian! All of their products are cruelty free and sustainably handmade in small quantities in Calgary, Alberta, to ensure freshness without the need for artificial preservatives. Something I love to hear! 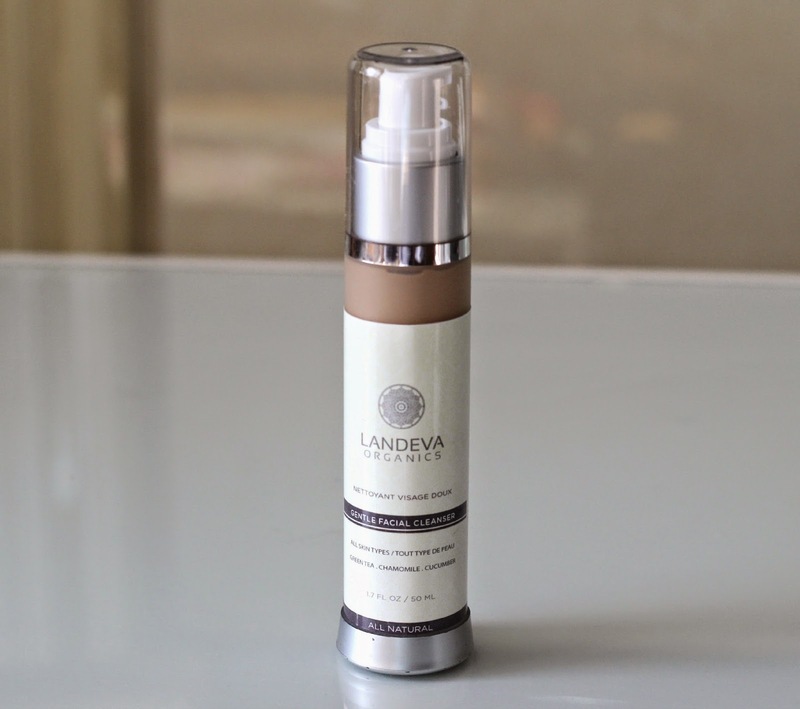 The first product I put to the test is the Landeva Organics Gentle Cleansing Cream* (C$18.00, 1.7 Fl. oz/50 ml). As soon as I pumped some into my hands, the lovely scent took over and I knew I was in for a great cleansing session. This cleanser is suitable for all skin types, and I've been loving using it in the shower to remove any excess makeup after a long day. It contains soothing ingredients such as green tea extract, cucumber, chamomile, aloe vera, olive oil, shea butter, castor seed oil, lavender oil and safflower oil. I actually find it smells like ginger despite there not being any in it! Although it contains quite a few oils, it does not feel greasy, but more creamy, and also has a taupe colour that fades once mixed with water. An all around great cleanser that does not irritate my skin and smells fresh and lovely! 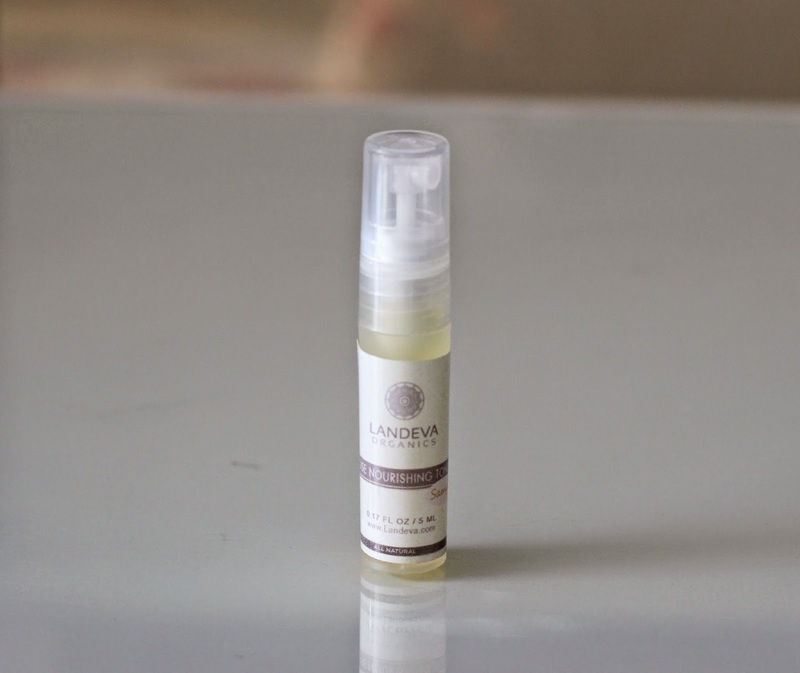 Once I'm done cleansing, I apply the Landeva Organics Rose Nourishing Toner* (C$20.00, 3.8 Fl oz, 115 ml). The packaging on this one is what makes it so great. It comes with a spray nozzle, and so I can just spray and go - no need for cotton pads! The natural rose scent is very invigorating, although it also boasts a mixture of aloe vera juice, wasabi root extract (I love wasabi, recently discovered when eating sushi and I find it delicious! ), banana extract, garlic extract and ginger, although the scent of the last two don't come through when sprayed. I also use it similar to a refresh mist on days when I don't wear makeup. The rose extract gets me every time, I could never get tired of using this! After toning comes moisturizing! 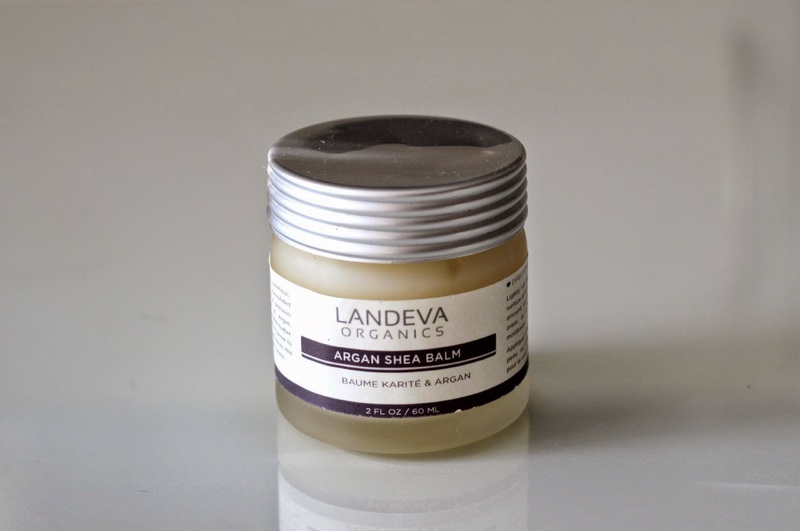 For this I've been using the Landeva Organics Argan Shea Balm* (C$28.00, 2 Fl oz/60 ml). Just the name of this one got me hooked! Balms are great to use on dry, flaky skin, and this has definitely been helping me in that regard. This has more of greasy feel to it as it is water-less, and I made the mistake of applying too much the first time I used it. I learned my lesson and have been dabbing just a bit of product on my cheeks and forehead and massaging it in gently. This balm also doubles as a hair moisturizer, and it leaves the most delicious citrus scent, although my nose might be playing tricks on me again with this one as it does not have lemon or any other kind of citrus fruit as an ingredient. Camellia oil, lavender oil, and rosemary extract are also included, giving it that rich consistency. 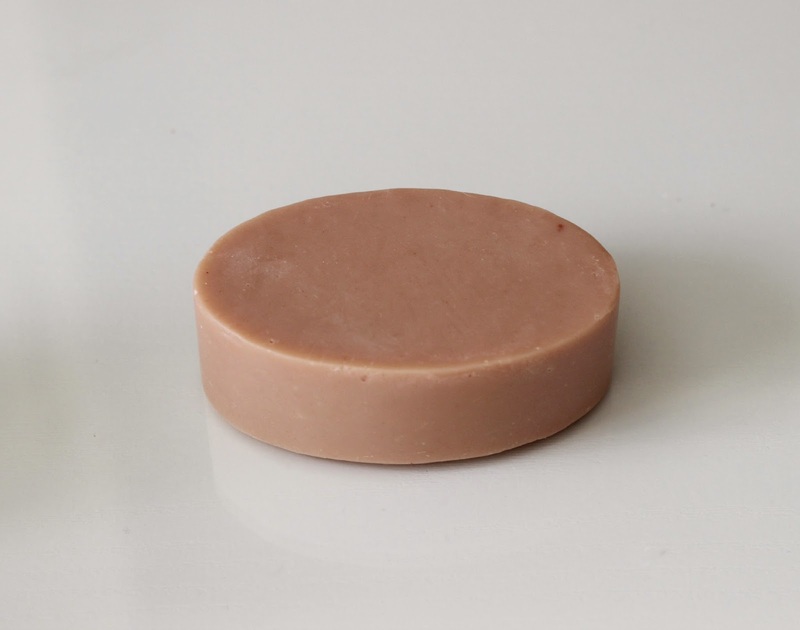 Soap bars are my favourite, and the Landeva Organics Oatmeal & Pink Clay Facial Soap* (C$8.50, 120 g) is the best I've ever tried. Again, it smells incredible and it is so moisturizing, with some standout ingredients including coconut oil, cocoa butter, kaolin red clay, oat flour, and lavender oil. This soap does not foam, but instead turns into a creamy consistency. It rinses off to leave my skin feeling baby soft, and I can even skip applying moisturizer because it does not leave my face feeling dehydrated like conventional, drugstore soap brands do. I use it both on my face and body, and it works great as a shaving "cream" too! If you are looking for an all natural skincare line to try out, this once certainly does not disappoint! The products are reasonably priced and packaged using recyclable material as much as possible - a brand that truly has protecting the environment at heart, which I admire so much in a company! Two big, green thumbs up for Landeva Organics! Have you been trying out any new skin care lines lately? Please do share - I'm always curious to read what you are enjoying! Ooooh never heard about this brand, look interresting. especially the toner, I like the spray concept. Recently I tried "Mont Écho " brand, I really enjoy to use the spray toner too ;-) I really like face oil too from this brand and from "Corpa Flora". Both are from Quebec, yeah! Have to try it sometimes. The producs are looking great.